When Santa gets knocked out by a toy train, there's no telling what will become of Christmas. But when Easter Bunny shows up to help, faster than you can say "jack rabbit," Christmas is sure to carry on like normal...or will it? 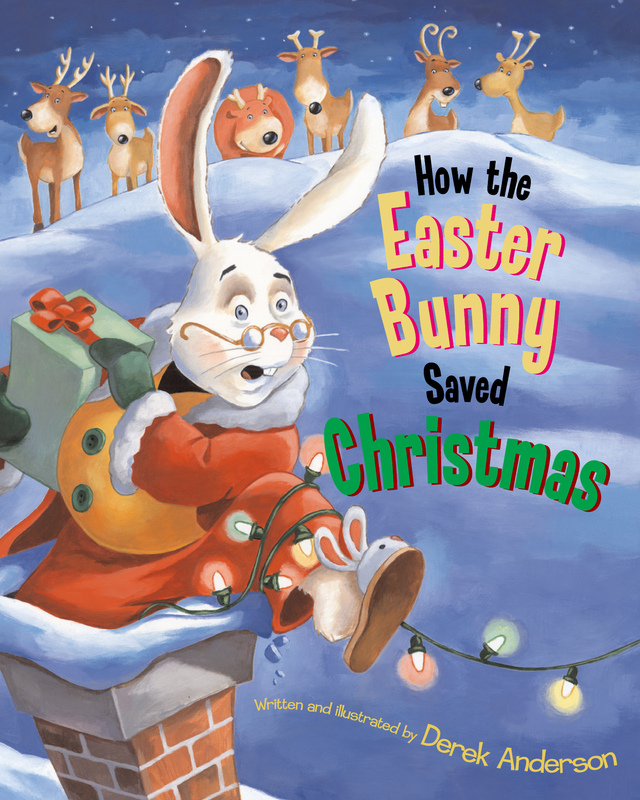 Join the Easter Bunny and the eight smartest reindeers this side of the North Pole on their quest to start the sleigh in the right direction, to put all the presents under the proper trees, and to keep the old bunny from getting stuck in a chimney -- all before sunrise! Acclaimed artist Derek Anderson has stuffed this Christmas stocking of a book with oodles of adorable artwork, heaps of holiday humor, and enough spirit to last the whole year through.